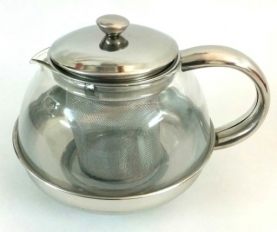 An elegant teapot made of stainless steel and glass to provide visibility while making the teapot strong. Tea is filled in the wire mesh infuser, and immersed in hot water in the kettle. Suitable for 3 cups.